The long, tall and slender bodies of siamese cats really embody the proud attitude inherent to all cats. Selective breeding has created the famous pointed color pattern and blue eyes. But the resulting genes have also created a cat with a grave voice and a loyal temperament towards its owner, the way we frequently see in domestic dogs. 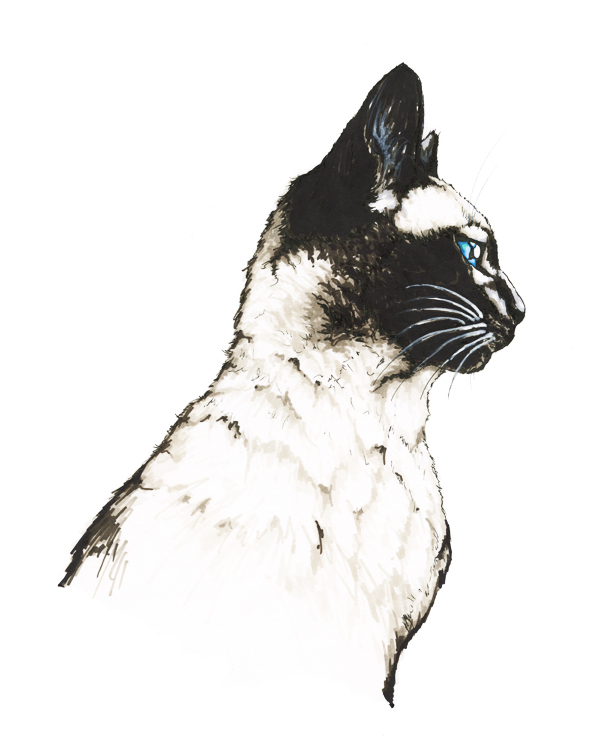 Animal drawing art description: Fine art drawing scientific illustration of a siamese cat, felis catus. Colored markers and ink drawing by Madeleine Dubé. 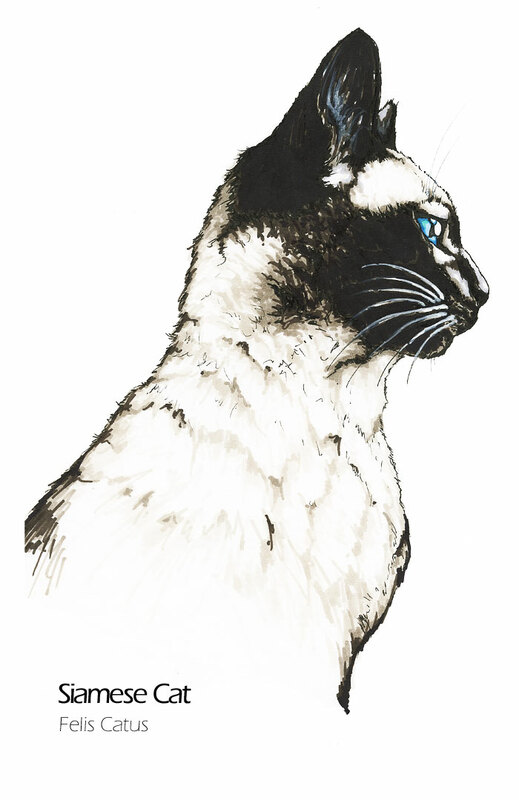 Siamese cat drawing artwork available for sale as greeting cards, postcards and high quality giclée print reproductions (8"x10" and 11"x14"). Siamese cat animal image available for licensing. Ideal for commercial uses such as print, packaging or advertising. For information contact me by email or by phone: 1-514-770-0705.